As an employee, you are entitled to receive full payment of your wages. Many employees are underpaid and they don’t even realize it and if they do, they are afraid to speak up because they don’t want to lose their job. Sadly, your silence will only encourage irresponsibility on the part of your employer. 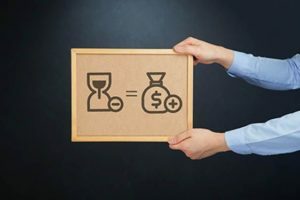 The Fair Labor Standards Act (FLSA) which states that you are entitled to receive overtime pay for all time worked past forty hours per week applies to both present and past employers. If you are going through this currently or you have experienced this in recent past, then you should talk to a qualified attorney. A qualified Wage and Hour attorney is your best bet in getting the right attention and compensation you deserve. At Rawa Law Group, we have all the experience you need. We are a well-respected legal firm with over two decades worth of experience in bringing smiles to the faces of our esteemed claimants in California. Our team of professional Wage and Hour attorneys are ready to go the required distance in delivering all that is expected of them and more. We will present a well-crafted case that will ensure you are treated fairly and given your deserved compensation. Our services are non-obligatory which means that you don’t have to pay us before we take on your case, we will only be paid when you have won. Need a lawyer? Then reach out to us today!